Briyani kathirikai kathirikai side dish for briyani recipe is one of the tasty yummy brinjal preparation in Muslim marriages.I have tasted this few times while my friend bring this in lunch box in school days.This style is simply superb and you will love it ,even you are not kathirikkai fan. 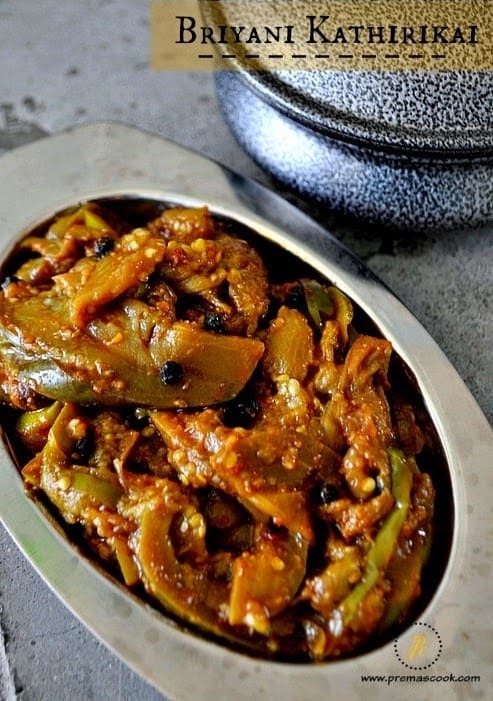 Yes, this is the favourite of brinjal fans like me.I made today little dry not like gravy because i love this way.If you want to make it like gravy then add little more water while you make.I always love this kathirikai with briyani and also veg chalna. These are yummy combo for briyani. roast the peanut,methi and sesame seeds.Grind it into a powder. 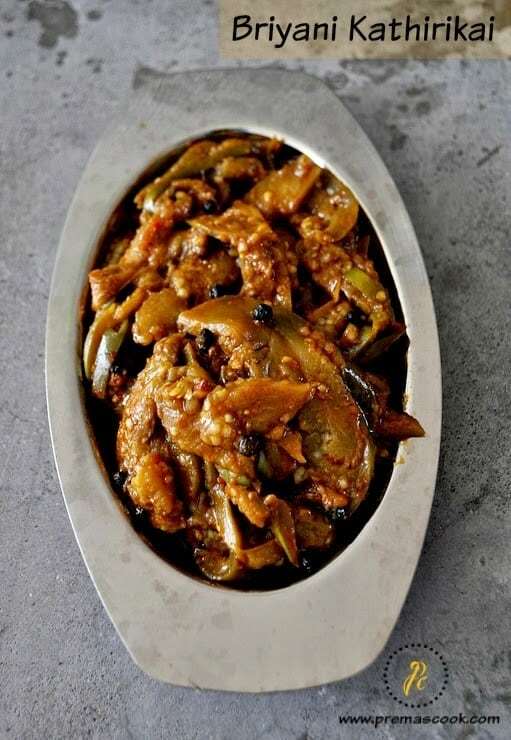 Wash and cut the brinjals into thin pieces.Heat oil in the kadai and then add the pepper corns,add brinjal cover and cook well. 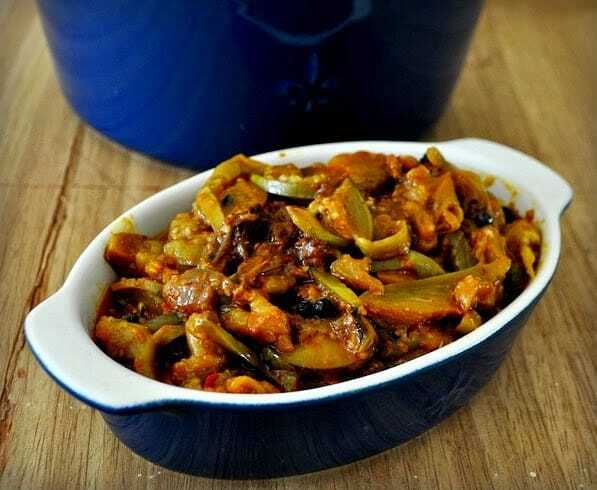 Once the brinjal cook well in the oil add in the turmeric powder,chilli powder,salt and the ground powder mix well. Add in the tamarind water and cook well.one brinjal becomes soft and thick,now add in the jaggery and then remove it from the stove. Adjust the spice taste according to your taste buds. I like to add jaggery usually if you dont like you can skip this step also. wow i shd try this though not a fan of brinjal but i like tis one.. Such a simple delicious recipe. We love brinjal at home too.